A home-based childcare company that uses Education Ministry funding to entice people to work for it took seven weeks before it started paying a new home-based educator. 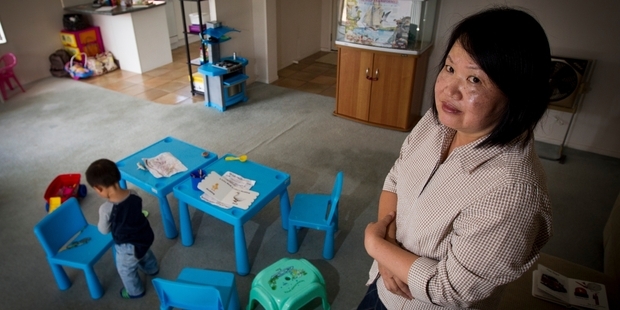 Botany educator Mandy Fung, who had been caring for four preschoolers for another company, Jemma’s, transferred herself and the four children to rival company Lighthouse@Home on January 5. The company promised to pay her up to $50 a week for every child under 1, and $20 a week for children aged 2 or over, as well as passing on childcare subsidies from Work and Income and the 20 Hours early childhood education scheme. Lighthouse owner Grace Xue said the company could afford the payments because of efficiencies in the way it used its Education Ministry operational funding, such as direct-entry tablet-based systems for its 16 visiting teachers. But she said the company did not pay Mrs Fung anything until February 21, and then only the $387 Work and Income subsidy for one child for January, because Mrs Fung was a “self-employed contractor” who was paid on the 20th of the month after the month in which she provided services. She was finally paid January subsidies of $1220 for the other three children on February 28. The case highlights concerns in the sector about the rapid growth of new home-based early childhood education (ECE) providers such as Lighthouse, which started home-based services in 2012 and is now the second-biggest provider in Auckland with licences for 960 children. It, and two others of the top 10 Auckland providers, are not yet audited by the Education Review Office (ERO) because they still have only provisional licences. Mrs Fung has 15 years’ experience in home-based ECE with Jemma’s and Barnardos. Both agencies paid her weekly, even though both now treat their educators as “independent contractors”. She switched to Lighthouse, signing a contract on December 2, partly because Lighthouse did not require any after-hours “homework” to document the children’s progress. She pays rent of $510 a week. She earns between $300 and $400 a week directly from the parents of the children she cares for, but at Jemma’s she received a further $250-$300 a week in ECE subsidies from the ministry and Work and Income. Those subsidies stopped for seven weeks. “Seven weeks no pay, how to support the family?” she asked. Jenny Yule, who founded the country’s biggest home-based ECE provider Porse in 1990, said she was concerned at providers using ministry funding to “buy business”. Education Ministry deputy secretary Rawiri Brell said most home-based educators were independent contractors and the ministry was “not aware of any instability occurring as a result”.